Metabolism – the thing that most of us take for granted until we reach our 30’s, then we start noticing that the food we’re eating is lingering a little longer on our butts, hips and thighs. Gone are the days that you can eat whatever you want, whenever you want. Adding to the frustration is the fact that not all metabolism perform equally. Where one person can just look at food and gain weight another can eat whatever they want and not gain a pound? Before you decide to hijack somebody else’s metabolism or simply give-up on your own, know this… every body has a Skinny Gene. Some people just have to put in a little more effort to get their metabolism working for them, rather than against them. Your metabolism is one of the most complicated systems in your body. Some people with a master’s degree in nutrition have a hard time understanding all of its complexities, so how can you be expected to know how to speed up your metabolism? That’s why we’re here to help! 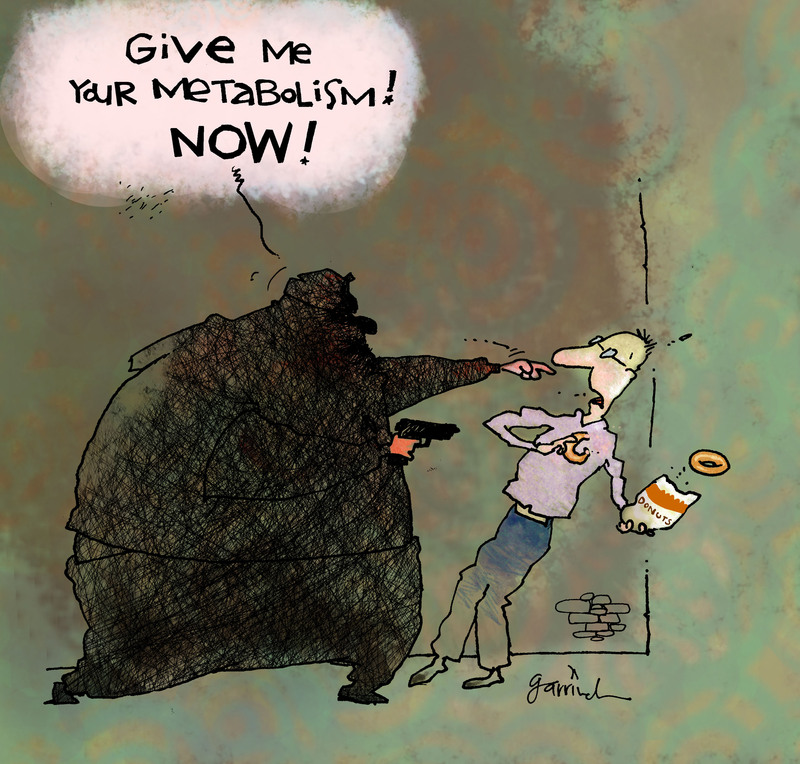 Unfortunately, there is no miracle pill or food, that when taken by itself, will boost your metabolism. 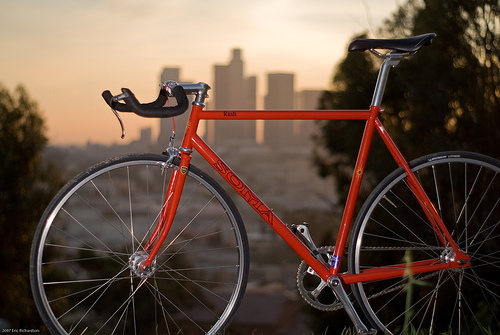 Think of your metabolism as being a system that only operates because of the sum of its parts, like a bicycle. Similar to a bicycle, your metabolism needs momentum (action) to work. You have to exert energy to push the pedals. The harder you pedal, the faster you go. Like the bicycle, the more exercise and energy you exert the better your metabolism will perform. Exercise (energy) is just one part. You also need to eat the right foods, in the right quantities, to optimize your metabolism. The food is the foundation; it is the “wheel” that keeps your metabolism going. Just as the spokes of the wheel support the rim, the quality of the foods you eat support the health of your metabolism. Imagine that each spoke on the wheel represents: water, fat, fiber, protein, carbohydrates, sodium, cholesterol, EFAs (Essential Fatty Acids), and vitamins & minerals. To make your metabolism as “strong” as possible, you would need to ensure that your body is getting the right amount of each nutrient (e.g. fiber). Eating too much or too little of each element could slow down your metabolism, like peddling through mud or having sticks in your spokes. Sign up for our FREE newsletter series that talks about our top 10 foods, why they can help your metabolism , and how to avoid traps that can slow down the metabolism. If you are interested in having your diet analyzed to determine if you are eating the right amount of each of the following nutrients listed above ( e.g. EFA, fiber, carbohydrates), click here to receive this months discounts and offers. Have additional questions, feel free to contact us. We’re always here to help.